Bookkeeping Services - Checked & Balanced, Inc. Checked & Balanced Inc. provides professional bookkeeping services to small and medium-sized companies. We have the staff and the experience to help your business grow. As Vancouver’s independent bookkeeping firm Checked & Balanced, Inc. has the staff and experience to help you to grow your business. Checked & Balanced Inc. can help you to setup a new business or cleanup an existing company that has not had professional help. We can setup the reporting and systems needed to understand your business better. 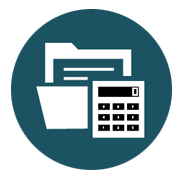 Your Checked & Balanced Inc. bookkeeper can create a budget and projections so that you can forecast and plan properly. Checked & Balanced Inc. can help with Sales Tax, Payroll Setup and Integration of your existing systems or help to streamline your bookkeeping systems with the correct checks and balances for SAP (Standard Accounting Practices). Our vision is that Checked & Balanced Inc. will be recognized as professional service organization. That will accomplish the balance between superior client service, a focus on family, and the financial success of the firm. This will be accomplished by creating a culture of pride and passion that will enable us to continue to be one of the best tax, book, payroll offices located in Vancouver, WA. Whether you are an individual in need of personal taxes or a company of hundreds, we think of Bookkeeping, Payroll and HR Solutions as an extension of your office or business. We are here to answer questions, help you find solutions, and guide you every step of the way. Your satisfaction is our success and we look forward to working with you!